Kitten - an adorable kitten is the featured image on this sweet announcement. A decorative border adds just the right amount of flourish. 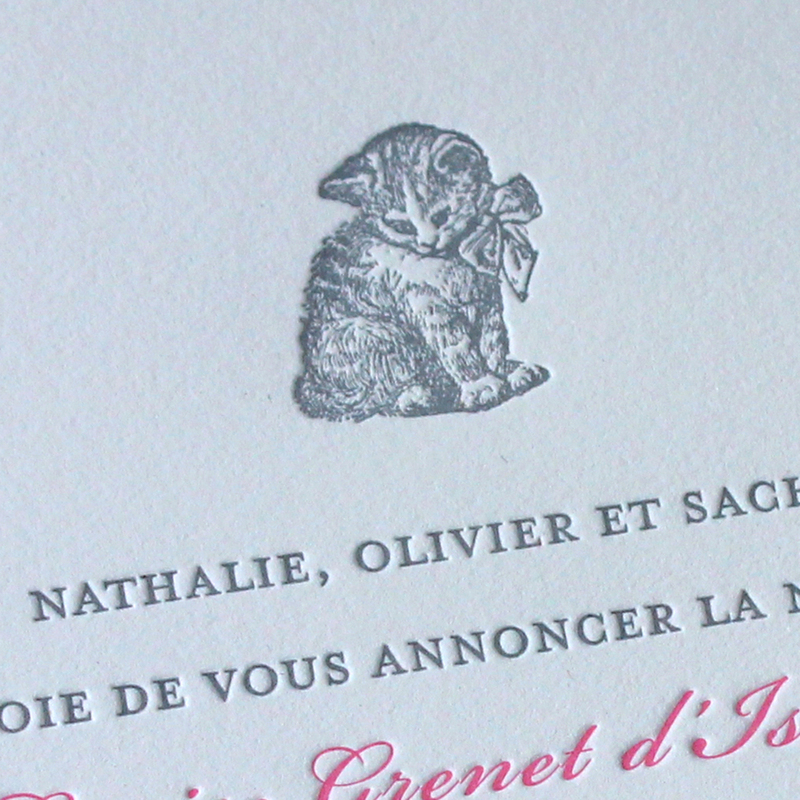 We love this vintage image of a tiny kitten and think it's perfect for a letterpress baby announcement. We especially love the little bow tied around its neck! The decorative border adds a nice flourish to the simple design. Envelopes lined in a matching color look great with this adorable announcement.